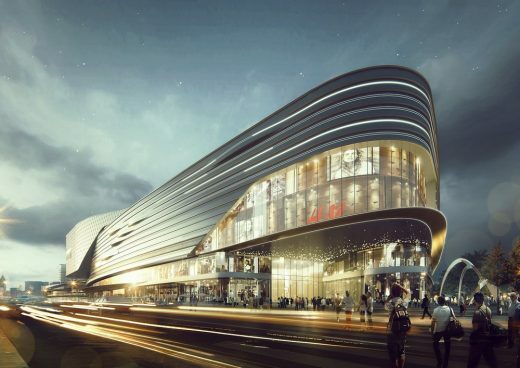 Located in front of the Sanya High-speed Railway Station, Sanya Integrated Commercial and Transportation Hub is a mixed-use tourist attraction and transportation hub. 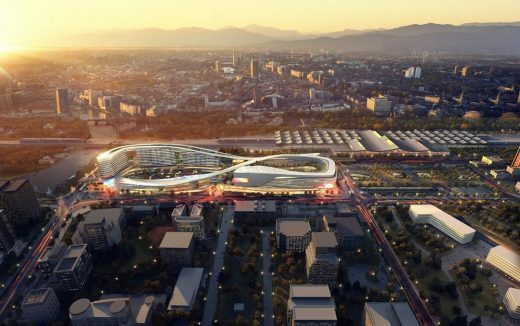 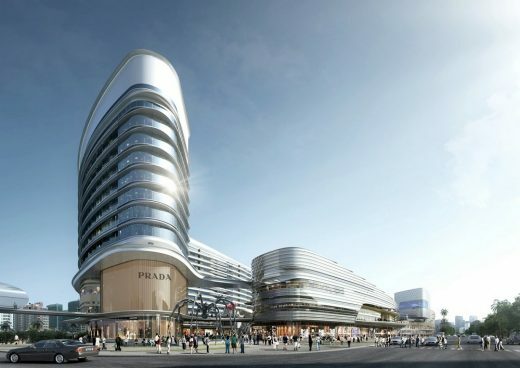 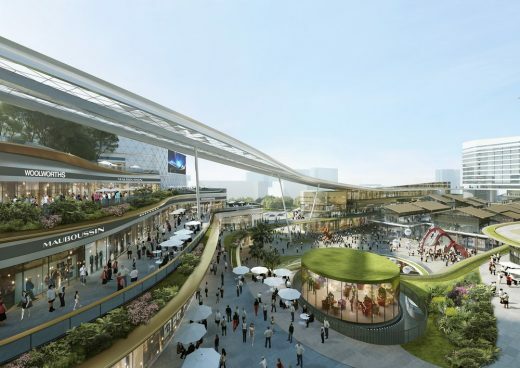 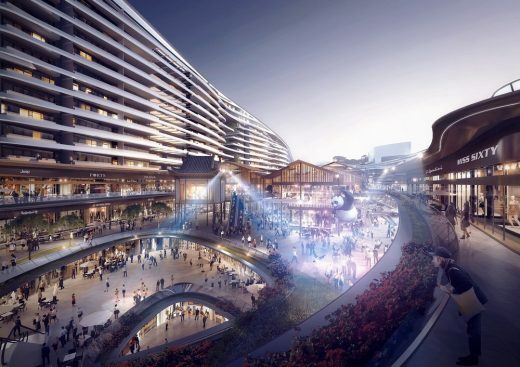 It will feature a retail podium, shopping streets/village, a hotel, serviced apartments, a wedding/event hall, a cinema, a children’s playground and a sky garden, all of which are linked to the high-speed rail and tram stations as well as the bus terminal. 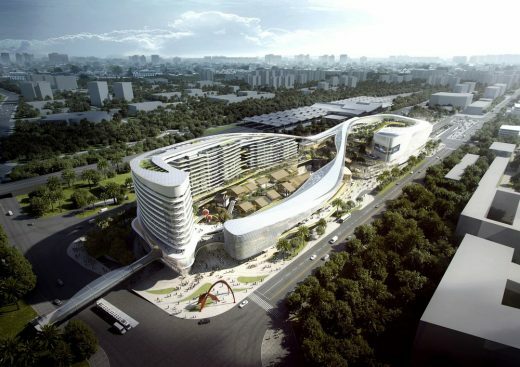 The design is inspired by the Chinese dragon and phoenix. 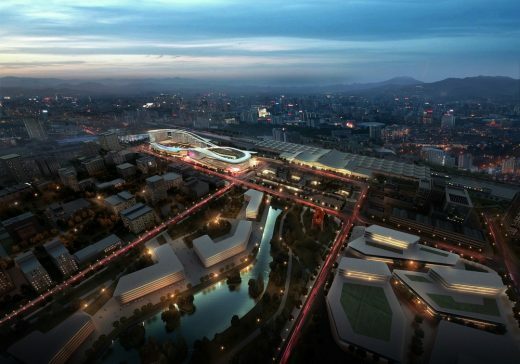 The continuous canopy system links different programmes, presenting an integrated and grand morphology. 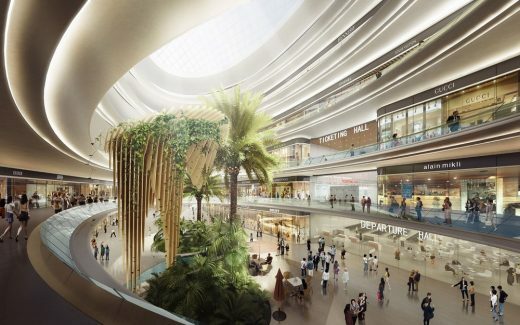 The canopy system and set-back terrace, combined with vernacular tropical plants, provide visitors a featured tropical destination. 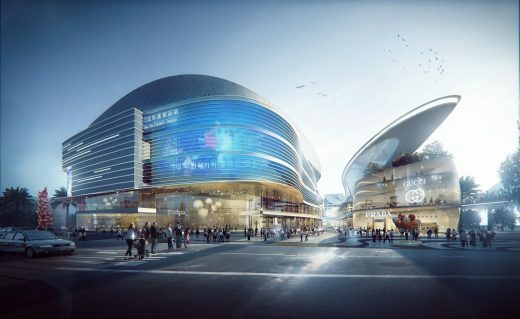 The project aims to offer a unique public realm experience to all local and foreign visitors. 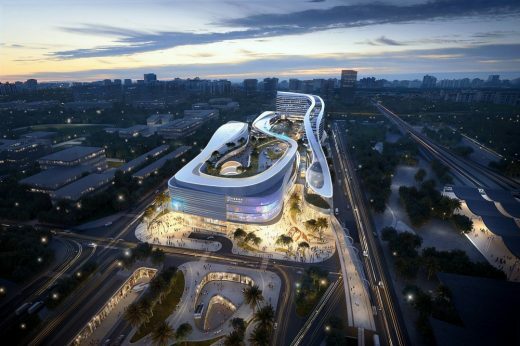 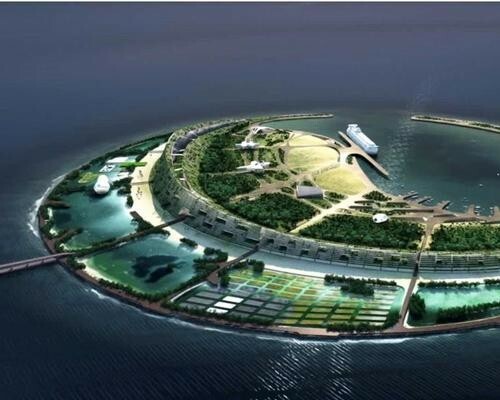 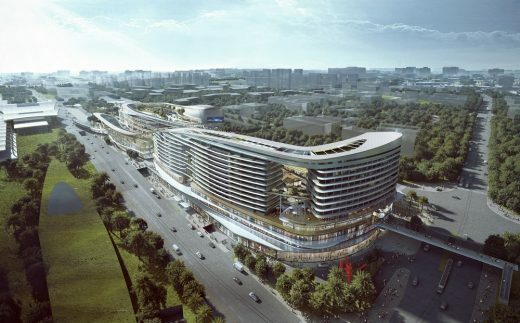 Aedas also designed the master plan for developing the area in front of the Sanya Railway Station in 2012.